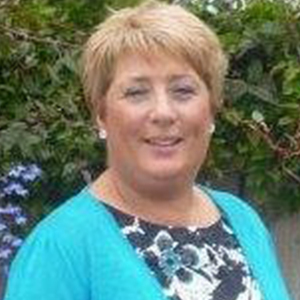 Marie has worked in the Health Improvement Service WHSCT and holds the brief for Mental Health and Emotional Wellbeing. Throughout her career she has worked as a registered mental health nurse in a range of settings including acute, community and in addictions services. Her Journey in health improvement gave me the opportunity to become a specialist in the field of mental health promotion and this has involved supporting the implementation of the Regional Mental Health Promotion Strategy within the WHSCT area. She has worked regionally, locally and on a cross-border basis on numerous initiatives including ‘getting it together’ a peer led emotional health program, which received the Prince’s Trust recognition award. She facilitates a range of training programs including mental health first aid, cognitive behavior life skills training, stress management, mental health promotion training, strengthening family programs. She has been involved in supporting the community to develop a mental health charter, which is the first of its kind in this area. She has dedicated her whole career to the field of mental health which spans 38 years and is very passionate about this area Marie believes there is ‘’no health without mental health’’ and it should be the corner stone for all that we do.